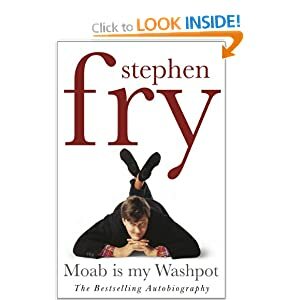 Does Stephen Fry have a brain disorder? There is a lot of misinformation on the internet about bipolar. Some pages describe bipolar as, “a brain disorder that causes unusual shifts in mood…” I believe this to be incorrect in that bipolar is not a brain disorder. In the book I co-authored and published… (Bipolar Handbook) we explain that there is nothing different to see in the brains of people who are diagnosed with bipolar disorder compared with those who are not. This is confirmed in the two-part BBC documentary “The Secret Life of the Manic Depressive” (Stephen Fry). Reading what Stephen says about himself in his books, I am left with a strong feeling that his brain works a bit differently… but there again are we not all different? What I wonder and suggest that taking a psychiatric drug at such an early age made Stephen more likely to be diagnosed with manic depression. Long term use of ‘antidepressants’ makes us better at being depressed. Long term use of ‘antipsychotics’ makes us better at being psychotic. Long term use of ‘mood stabilizers’ makes us better at having more unstable moods. Does this mean Stephen Fry now has a brain disorder caused by taking drugs at an early age? Well, in the film Stephen has his brain scanned and the conclusion is that his brain looks pretty much like anyone else’s brain. There is nothing to be seen that would show either he was born with a disorder or any disorder has occurred. This matches what is found consistently with brain scans – bipolar disorder is a disorder of moods and emotions and so is not detectable. Bipolar disorder was introduced as a diagnosis in 1980 and gradually replaced manic-depressive as the term preferred by psychiatry for people WITHOUT ANY DETECTABLE BRAIN DISORDER who seem to experience more extreme moods. It is because there is nothing to see (with brain scans) that is different in the brains of people who are diagnosed as having bipolar compared with those who are not that makes diagnosis so inaccurate. You may see research that claims differences in brain structure, but with careful examination this is likely to be due to taking drugs such as antipsychotics or having electro-convulsive therapy which does indeed create brain disorder. Once again I suggest reading Whitaker’s ‘An Anatomy of an Epidemic‘ from cover to cover to understand how bipolar has grown alongside the psychiatric drug industry. The scientific evidence is that drugs enhance our abilities to experience more extreme moods and this happens through changing brain structure. Although rather busy at this time I continue to teach, ‘Understanding Mood and Bipolar Disorder’ for organisations all over the UK. When I am less busy I will be advertising this course through Rethinking Health (UK) Ltd.